Harworth Group plc, the Rotherham-based brownfield regeneration and property investment specialist, has appointed Alastair Lyons CBE as non-executive director and Chairman of the Board. Lyons will replace Jonson Cox, the man who lead UK Coal plc through its 2012 complex restructuring, who is set to step down from his role as non-executive chairman in March. Harworth owns the Waverley site in Rotherham and has its headquarters nearby. It is one of South Yorkshire's largest publicly listed companies and its business model is based on reinvesting capital in acquisitions having created capital growth through planning approvals, remediation and development and generated income through asset management and land sales. The focus has been on "beds and sheds" sectors and in its interim report 2017, Harworth Group had assets and developments worth £410.9m. In an update to the stock exchange, Harworth said that Alastair Lyons "brings strong business and governance experience to the role." Earlier this year he retired as non-executive chairman of Admiral Group plc, a role he had held since 2000. 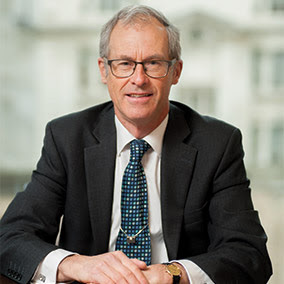 He is currently non-executive chairman of Welsh Water and deputy chairman of Bovis Homes Group plc, from which he will retire at Bovis Homes' next Annual General Meeting, having joined its Board in 2008. In the previous five years, he has also been non-executive chairman of Serco Group plc and senior independent director at the Phoenix Group. Prior to undertaking non-executive director roles, he built an extensive executive career, including as chief executive of both the National Provident Institution and the National & Provincial Building Society and director of Corporate Projects at NatWest. He was awarded the CBE in 2001 for services to social security having served as a non-executive director of the Department for Work and Pensions and the Department of Social Security. Lisa Clement, senior independent director at Harworth, said: "Following a thorough selection process, we are delighted to have found a chairman, in Alastair, with such extensive experience and enthusiasm for the business. "On behalf of the Board I would also like to put on record our thanks to Jonson. Over the last seven years, his leadership of the Board has helped transform Harworth from a non-core property division within a mining business to the successful, listed regeneration and property investment specialist it is today, delivering strong returns for shareholders along the way." Alastair Lyons, incoming chairman at Harworth, said: "I am delighted to have the opportunity to chair a business that plays such an important role in regenerating former industrial areas into thriving residential and business communities. Harworth has gone from strength to strength since it was divested from UK Coal in 2012 and continues to grow its profile after being relisted in 2015. "I look forward to supporting the business in achieving its vision to be the leading brownfield regeneration company in the North of England and the Midlands." Jonson Cox, the current chairman of Harworth, added: "It has been a privilege to bring Harworth into being in 2012 from the former UK Coal plc, and to see the business perform so strongly since that time with a solid platform in place and a clear strategy for growth. Now is the time for a new chairman to take the business forward, and it will be in good hands with Alastair. I wish the business every success in the future."